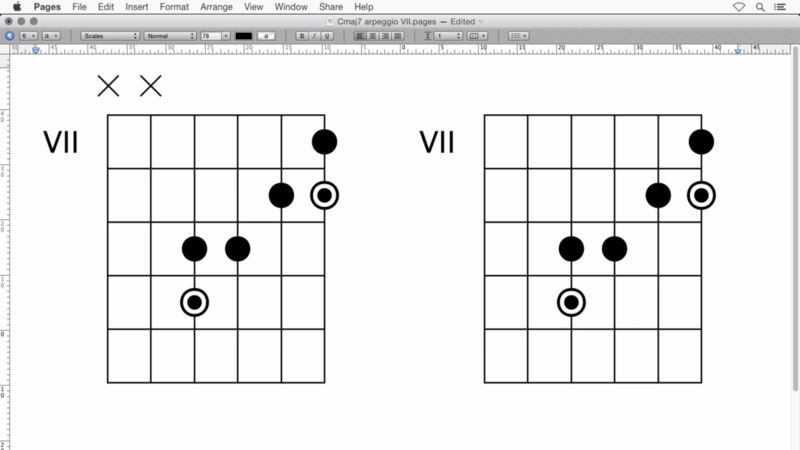 Creating a Cmaj7 arpeggio diagram in the VII. position with the font Scales Normal. Sometimes you may want to show an arpeggio or scale on specific strings only. Mark the strings not played as muted or blank.